For the first time in Berlin sailing history a World Cup of an International Sailing Federation (ISAF) recognized class will be held in Berlin in July 2014. The Segler-Club Gothia e.V. will be hosting the Micro World Championship from 19th to 26th of July 2014. 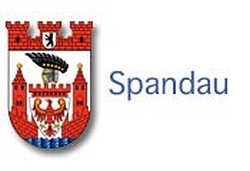 The Berlin-Spandau Headquartered SC Gothia is expecting 60 yachts and numerous participants from more than 10 nations. Besides participants from Germany, sailors from Russia, Poland, Slovenia, Austria, Italy, France, Belgium and the Netherlands are expected in Berlin. Frank Henkel, Senator for Internal affairs and Sports in Berlin, has taken over the patronage of the 38th Micro World Championship and wishes all participants a fair race on Berlin´s waterways . The SC Gothia is pleased by this recognition of its work, enabeling sailing at the highest level in Berlin and would like to thank Senator Frank Henkel for his commitment to Sports in Berlin.